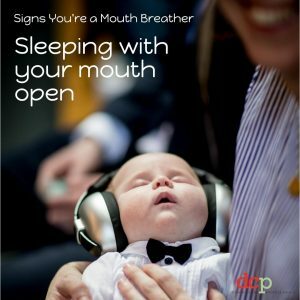 Are You or Your Child a Mouth Breather? Many people don’t realise that mouth breathing is a complex health concern. 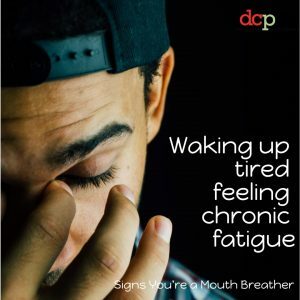 Breathing through the mouth all the time, including when you are sleeping, can lead to problems. In children, mouth breathing can cause crooked teeth, facial deformities, or poor growth. In adults, chronic mouth breathing can cause bad breath, gum disease, and can worsen symptoms of other illnesses. It is much better to breathe through your nose. You may not realise that you are breathing through your mouth instead of your nose, especially while you sleep. It is important for parents to look for signs of mouth breathing in children. A child may not be able to communicate their symptoms. 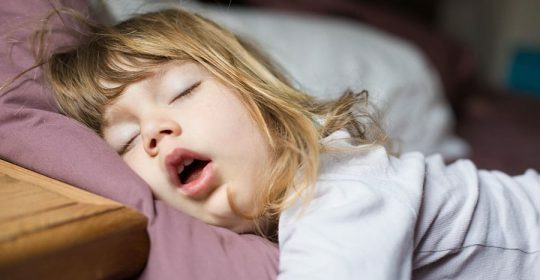 Like adults, children who are mouth breathers will breathe with their mouth open and will snore at night. problems concentrating at school etc. Monitor yourself or your child for mouth breathing. Having an open mouth resting posture can be a sign of mouth breathing. How often does it occur during the day? Consider talking to a dentist or a doctor who specialises in breathing and sleep. Your dentist can help you determine the best option for you or your child, and how to get started with changing from mouth breathing to nose breathing. Using saline nasal mists and sprays and nasal decongestants or allergy reliever medications at the first sign of allergy or cold symptoms and for long flights can help reduce your natural response to mouth breathing. By sleeping with your head elevated, you will open the airways and promote nasal breathing naturally. Consciously practicing breathing through your nose during the day to help force yourself into a habit of nose breathing. Keep your house clean and free of allergens, try installing air filters in your heat and air conditioning systems to prevent the spread of allergens in your house. It also makes nose breathing more comfortable. Early detection and treatment is best! When you treat mouth breathing early it can reduce or prevent the negative effect on facial and dental development. If you have any concerns, please contact our dentists at Dental Care Professionals.